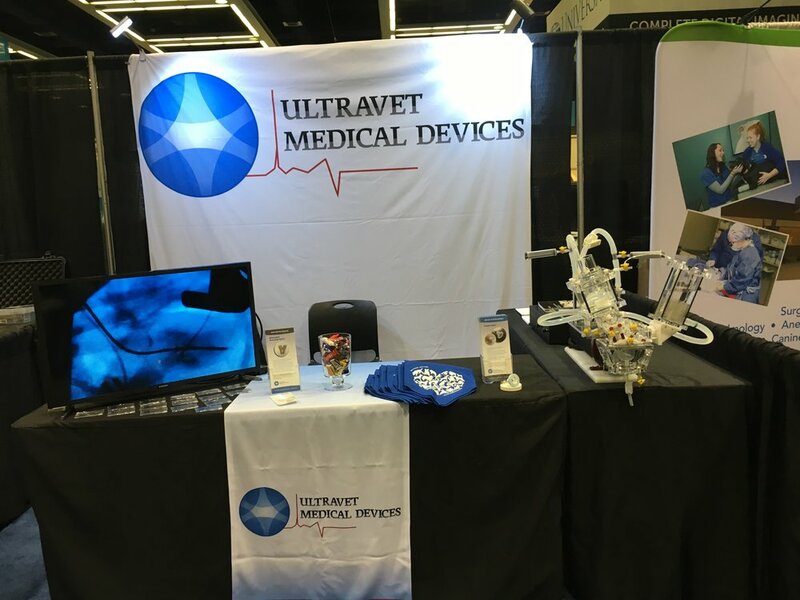 Ultravet Medical Devices recently attended the annual American College of Veterinary Internal Medicine forum in Seattle, Washington. While at the conference we were able to showcase or products at our exhibitor booth. This was an excellent opportunity to promote both our Bifurcated Bronchial Stent as well as our CoApt Valve. We were lucky enough to have Vivitro Labs join us. They brought along their pulse duplicator, which simulated the CoApt Valve beating within the heart. To view the CoApt Valve functioning within the pulse duplicator, please click here: Pulse Duplicator – ACVIM 2018. Dr. Kramer also gave a lecture to a packed auditorium on progress in transcatheter mitral valve treatments. Overall, it was a great success and we plan to attend next year’s forum in Phoenix, Arizona. During our time in Seattle we met with many specialists, some from the US and others from overseas. The interest in our products was overwhelming and we look forward to keeping everyone up-to-date on our progress.